A unique solution for small volume orders, as well as performance wear. This process is a digital transfer application that utilizes an ultra-fine granular substance obtained from plastisol ink. It is applied to a specially formulated transfer sheet and then transferred directly to the garment. Capabilities range from sports uniforms to marking metals for long term identification. 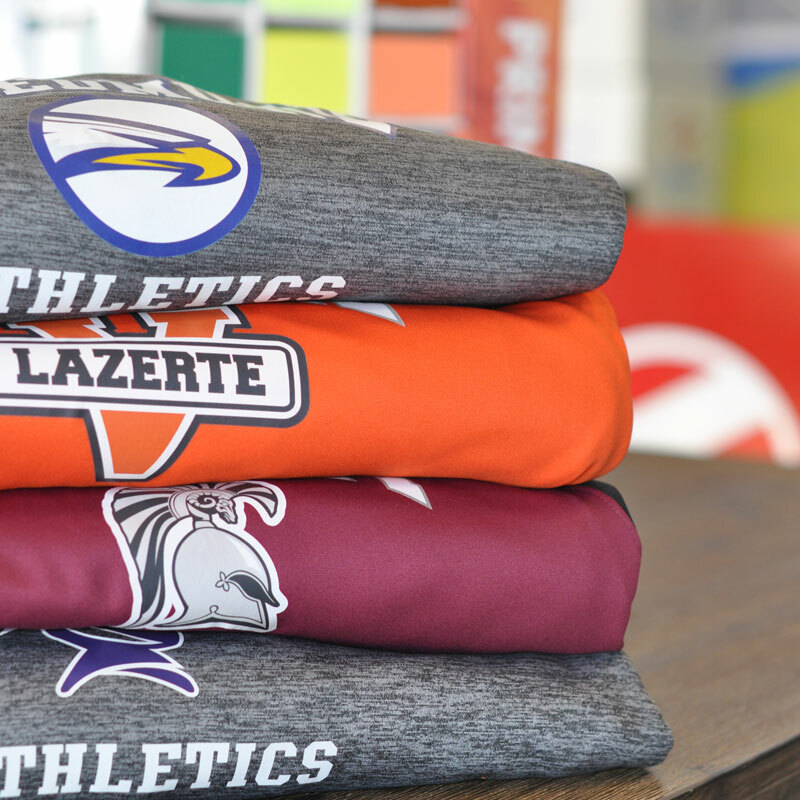 Fusion produces extremely light weight and durable results, and is ideal for quick turn-around sport uniform orders.